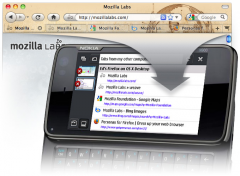 Firefox Sync - Free browser add-on that lets you stay in sync with your Firefox. Access your history, passwords, bookmarks and even open tabs across all your devices. Doing online research from the office, only to see itʼs time to head home? Now you can go back to your opened tabs and search history in an instant from any PC. Your Firefox is as you left it, no matter where you log in. All your settings, passwords, bookmarks, and other customizations are saved in a more universal way, not tethered to a single machine. If you replace a device, you donʼt lose your Firefox. Your information is encrypted so only you can access it when you enter a Secret Phrase. Firefox puts security as a top priority and syncing is no exception.